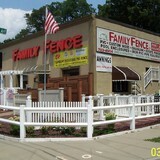 GM Fence has been serving the community’s fencing needs for over 88 years. As a family owned and operated business, GM Fence is a recognized leader in the residential and commercial fencing industry. Our large showroom and multi-acre facility affords our customers the opportunity to experience firsthand the many new and exciting choices available. Whether looking for a traditional wooden picket fence, a contemporary sleek aluminum style or a low maintenance vinyl fence, our professional and knowledgeable staff will be able to assist you in every aspect of the process and help you create the perfect complement to your home and landscaping. We offer assistance for the Do It Yourselfer or free on site estimates for those customers who want GM Fence to handle the entire project from start to finish . Whatever the need, GM Fence is committed to customer service and satisfaction. Design Fencing of New York & New Jersey has brought our customers the best materials and services for over a decade. 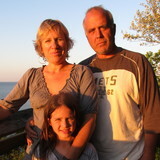 We have been family operated for over ten years and remain customer driven. It is our duty to bring NY & NJ residents the most quality fencing experience money can buy. Whether it is commercial or residential installation; quality service is always to be expected. We can help you with free estimates any day of the week. Call today at 718-227-0025, leave your name and number to arrange a appointment and LIKE us on facebook for special promos and coupons. Fence installations for residential properties and commercial properties in Northern NJ. Family owned and operated fender installation. With over 20 years experience. Your Morristown, NJ fence installation and repair professional will work with you to create your ideal fence. Fence installation or replacement. If you are in the market for a brand new fence, a contractor’s services will include walking you through various fence styles and materials, determining a suitable height, ensuring that all fence designs and plans are compliant with New Jersey building codes, and that the fencing meets both your stylistic and security needs as the homeowner. Fences and gates must complement the grade of your property as well as the type of soil you have, so the contractor should always plan around these considerations. Additionally, if you don’t know exactly where your property lines are, he or she can commission a survey for you. 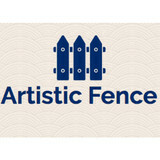 Find a fence contractor in Morristown, NJ on Houzz. 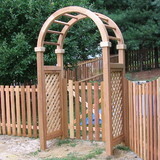 Narrow your search in the Professionals section of the website to Morristown, NJ fence contractors. You can also look through Morristown, NJ photos to find examples of fencing and gates that you like, then contact the professional who worked on them.